According to recent Chart-Track data in the UK, New Super Mario Bros U Deluxe has already sold 56 per cent more physical copies in its first week than it did on the Wii U. Not only that but Nintendo’s latest Switch port took the top spot in the UK, besting out FIFA 19 and Red Dead Redemption 2. It’s always worth mentioning that Chart-Track only, er, tracks physical copies sold and not digital downloads. The latest Nintendo platformer is a re-release of the original Wii U launch title back in 2012. It contains the base game as well as the New Super Luigi U expansion. 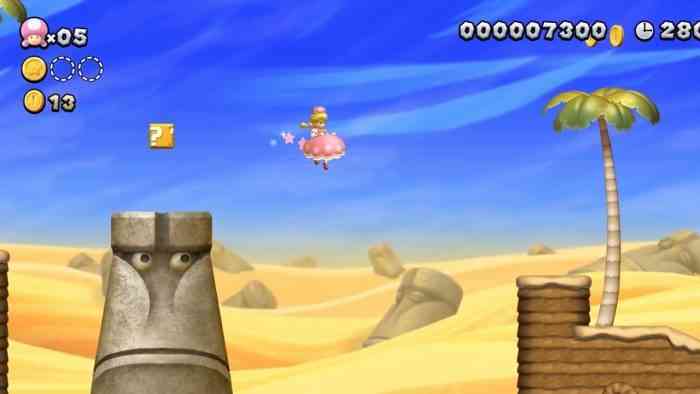 It also adds Peachette as a playable character. What are your thoughts on the game? Is it your first time playing? Leave us a comment down below.